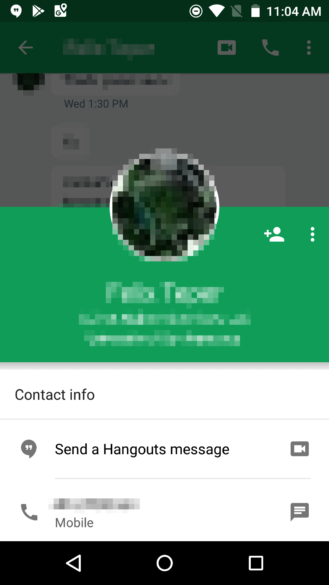 Previously, when you tapped to check a contact's About section in Hangouts or Google+, you used to see a card overlay above the bottom two-thirds of the screen. Now, the card takes its own screen and offers quick buttons to message, email, call, or schedule a meeting with that person. In Hangouts, the colors are green, whereas they're red in Google+. Left: Old contact card design. Right: New design. The change appears to be server-side, but could be related to Play Services too. On devices running Play Services v13 and above, we can see the new card, but devices running v12 and below have the older design. Other apps that use your public Google profile might be affected too, but these are the ones that you're most likely to see the change in. Google's fresh look for its cards has also spread to Gmail, showing us the very same breakdown of contact info above a brief overview of recent interactions. 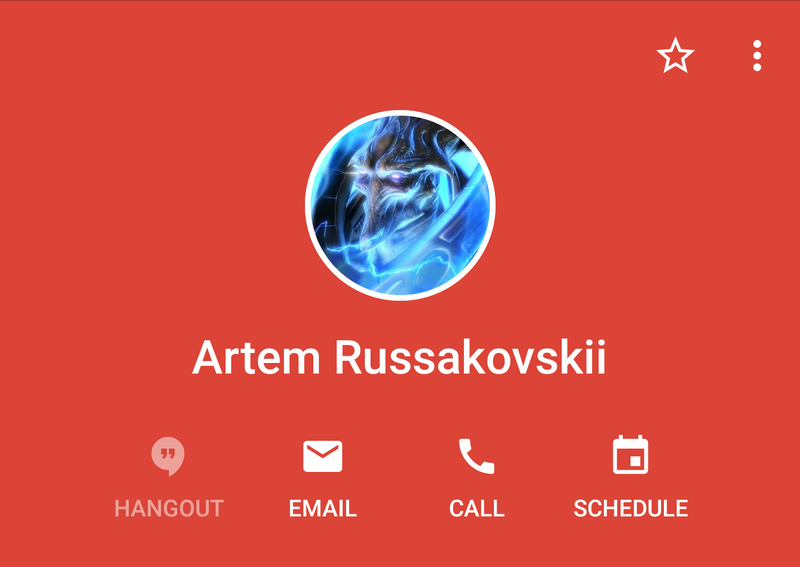 And honestly, if you're anything like most Android users, you're probably far more likely to be pulling up contact cards in Gmail than Hangouts or Google+, so welcome to the party!